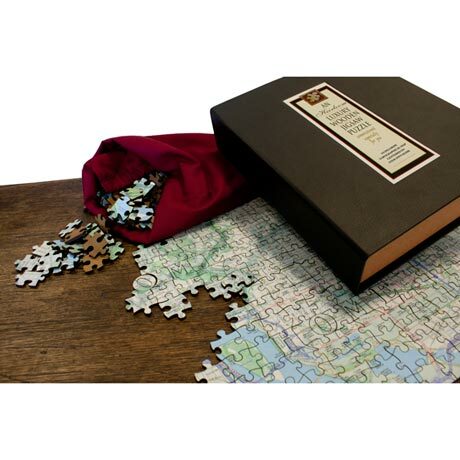 Unique, made to order 300-piece map jigsaw centered on your chosen location. 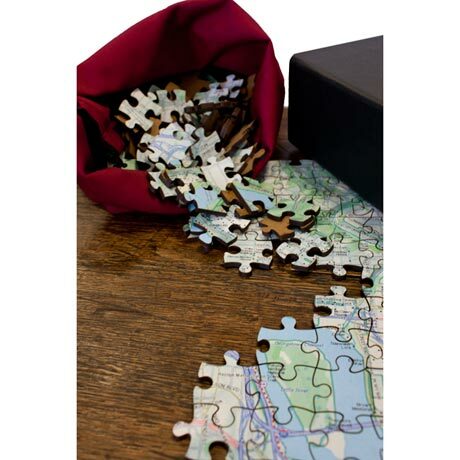 These individually handcrafted jigsaw puzzles are made using 3 mm thick wood and each jigsaw contains up to 15 special novelty shaped pieces, so called "whimsies" because Victorian craftsmen who invented the jigsaw concept during the 19th century - cut unusually shaped pieces "on a whim". 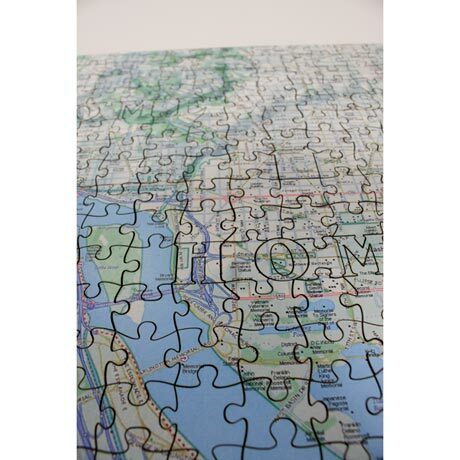 Using the renowned US Geological Survey mapping, seamlessly digitally stitched together to create the high quality jigsaw puzzle on the exact address supplied. 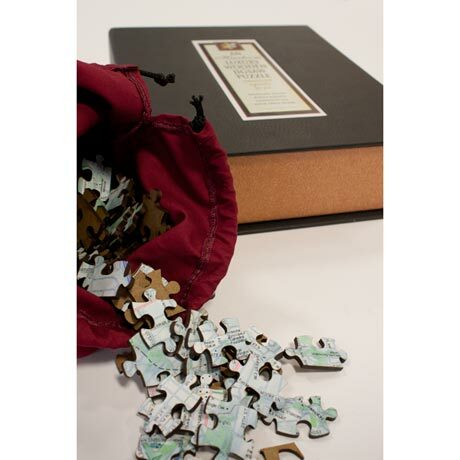 The unique puzzle arrives in a stylish drawstring pouch presented in a handsome storage "book box". Delight and impress with this highly original and distinguished gift ensuring hours of pleasure and enjoyment for many years (and generations) to come. Covers an area of 4 miles (north to south) by 6 miles (east to west). Assembled size - 12 ¼ x 18 ½ inches. Scale - 1:26000. 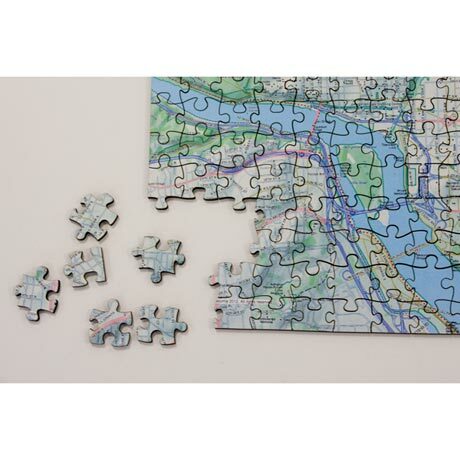 Specify full street address, city, state and zip code. Allow 3 weeks for delivery. No rush delivery or gift box.